General 1. Leader Specialist Components Ltd is not an authorised GM distributor. 2 Manufacturer's numbers are used for reference purposes only. 3. Please be aware that some of the parts are dependent on an engine break/code and would need to be confirmed by us before purchasing. 4. We provide an indication of models that are compatible to the part number listed above. However, it is solely the responsibility of you the buyer to check if this part will fit your specific vehicle. If you are unsure, you are welcome to contact us and provide with your details and we can confirm this or not. Contacting Us 1. 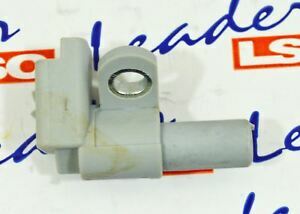 The best way to contact us is by email, ebay@leadercomponents.com 2. Please allow 24 hours for us to respond to your query, although we will endeavour to get back to you much quicker than this. 3. Please note you will not be receive an answer from us over the weekend as our office hours are strictly Monday - Friday 8am - 4.30 pm. 4. The office telephone number is 01737 236647. 5. To write to us, please send all correspondence to Leader Specialist Components Ltd, 56 Holmethorpe Avenue, Redhill, Surrey, RH1 2NL. Payments 1. We accept all types of payments including all major credit cards, debit cards, PayPal and bank transfers. 2. We do not accept bank cheques or PayPal cheques 3. Please not all non UK purchasers must either pay by PayPal or Bank Transfer, we will not accept any credit or debit card payments. 4. Non paying bidders will be reported to Ebay on the 4th day after committing to a purchase and the transaction will be cancelled and resold unless otherwise agreed between the two parties. Delivery 1. All of our items are in stock in our warehouse unless told otherwise. 2. All items will be despatched the same day unless your order is placed after 4.00 pm on a weekday or at a weekend. This will then be sent to you the next working day of the week. 3. We have several options on how to send your parcel, so please let us know of any preferences you have. Our two standard services are Royal Mail post and 24 hour Courier. 4. Our carriage is to UK Mainland only and does not include, Scottish Highlands, Southern Ireland, Channel Islands, English and Scottish Isles. Please contact us prior to checkout to discuss postage options and costs. 5. All parts sold outside the UK should be checked first with us to ensure postage is possible. International Buyers 1. We welcome all buyers from across the world. 2. Please contact us prior to checkout so we can work out the postage costs and delivery times for the country you wish this to be sent to. 3. If you wish to call us please dial 0044 1737 236647 or email ebay@leadercomponents.com 4. Please note we will only accept PayPal or Bank Transfer unless otherwise agreed between the two parties.